Home › Reviews › What Is Legerweb? What is Legerweb? Is it worth your time? Legerweb is Canadian based and owned Web Panel (Survey Site) founded in the year 2004. They seem to be focusing on the importance of mobile platforms being able to access their surveys with smartphones and mobile devices to perform their surveys. Legerweb is basically a one trick pony, solely based on the ever-polarizing world of surveys. Where other survey sites, have other ways to earn like: watching videos, paid-to-click, listening to the radio, etc., giving users options to earning. Not so with Legerweb, where they just have surveys in which to get paid from potentially. You can see what other survey sites have to offer to check out Legerweb Alternatives below. I review a multitude of them and break them down. For completing surveys, a user can receive payment in the form of cash payments, Air Miles and even to donate it to charity. Legerweb has a dashboard that shows your general activity and how much you have in rewards. When you reach $20.00 or 20 Air Miles you able to request payment. Payments are sent by snail mail in the form of a check. So, if you love surveys Legerweb might be your new best website for earning. That brings up the next the next subject of getting paid at Legerweb. This is everyone’s favorite subject. Right? To even get going when you first join you’re going to have to fill out Six My Profile Surveys to just get started. These are rather short and easy to get through. The general profile surveys pay $0.50 per survey. But the average dollar amount for a survey is $1.00. With the surveys usually lasting anywhere from 8 to 10 minutes generally. They also have longer surveys that pay about $2.00. You can download the Legerweb app either on Android or iOS version and use them on your phone. I found it strange that Legerweb didn’t promote this one their website, I found it when I was researching them. This is a nice feature as many people might want to take advantage of the downtime to complete surveys when away from their house. Gives you the option to receive as payment either, Money or Air Miles or even donated to charity. You can also earn additional money by inviting your friends. You receive $1.00 per person invited. They must complete 1 survey for this to be valid. Legerweb has an active affiliate program called Legerweb Ambassador. A chance to win monthly prizes for each complete survey. What type of prizes? 2– $1,000 and 1– $100 prizes, 1,000 Air Miles and an iPad. When starting a survey everything is clearly shown, what the survey pays. Chances earned for this survey. Mobile friendly. Legerweb knows we are busy people and the ability to complete surveys just got easier because they have apps so you can complete surveys anywhere. They have an app for Android and iOS. Surveys are not readily available, and you have to wait for them. HUH! Yeah, they will email you when one is available. You have to divulge your personal information just to sign up. Phone number, address, etc. As with all surveys, it can be quite invasive with sharing all your personal data. Limited to only doing surveys for earning payment, and I personally don’t like doing surveys. On the flip side of that some people love doing them, but for me, they are pure soul-crushing work. You don’t know till you do a couple of them, then you really know. You are cashed out when you hit $20 or 20, Air Miles. You cannot do more than $20 or 20 Air miles at a time. I might be splitting hairs, but their affiliate program is downright meager. While other survey sites provide a percentage of all referrals earning this is one buck or one air mile. Gasp! Mr. Cratchit. The reviews on the Legerweb app is split right down the middle, some experience many problems with surveys not working or even showing up. You have to wait for surveys as they are not just lying around. This is just a deal breaker for me. Wait…what? You’re a survey site with no surveys. HUH? I am lost. Some reports of being screened or disqualified out of a lengthy survey. If you happen to experience a problem when filling out a survey, the advice Legerweb gives is to quit and come back at a later time. 5 -10 minutes. The survey you just quit will be still there under Surveys On Hold tab. If that doesn’t resolve the problem, you can click Help then send a message to a member of Legerweb. You will need to provide the error message and the specific survey code number. All surveys are not supported with mobile devices. The survey will state in the introduction whether it is or not supported by a smartphone. Every day there seems to be more and more surveys site coming out of the woodwork. Or at least I am just learning or hearing of them. Below I will post links to both survey websites along with my reviews of the survey sites. SuperPayMe – Is SuperPayMe A Scam? Dealspotr – This is not a survey but I put it here anyway because it’s easier and you can make decent money doing it. 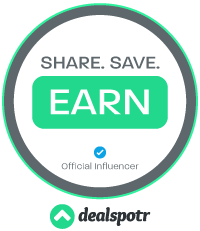 You can read my review here What Is Dealspotr About? 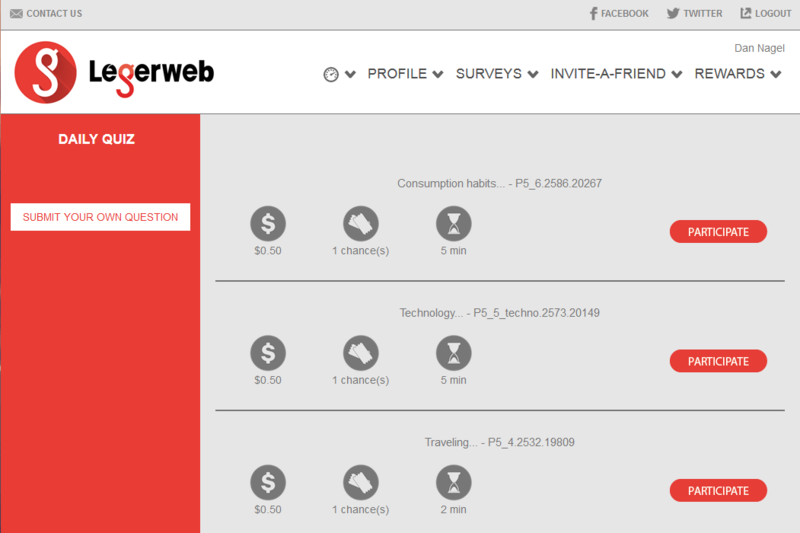 Legerweb is for the survey taker that loves doing them. It would ideally be for someone that has the time to jump when they release the surveys. The pay is okay for the time invested in completing them. No training is supplied or tools. It survey taking…You know multiple choice…you now the simplest test taking answering ever. One corral of contact to their Contact us by Email. What is Legerweb? Well, it’s strictly a survey site. I generally don’t like completing surveys, and Legerweb doesn’t convert me to their side. I am just talking for myself personally, but if you love taking surveys and getting paid for it, this might be right down your alley. Be prepared for the infrequent surveys. For me, I enjoy building and expanding my own business, writing and creating content on my websites. As this content provides a potential avenue of revenue for years to come instead of a one-time payment. I get excited about writing new content, and I don’t get anywhere near excited even thinking of doing surveys. My time is valuable to me, and your time is precious to you. You have to be honest with yourself to see if this is worth it for you. It doesn’t matter what I think of doing surveys, and it’s what you think of surveys and whether your going to do them or not based on what your time is worth to you. I always recommend people do a few surveys to get some personal experience, then decide. Legerweb has positive and negative reviews online. It’s diffidently mixed. As I stated above, due to the fact that they don’t have surveys available all the time, a person would be hard-pressed to make a steady income from Legerweb. This would be just to supplement your income minimally. A survey site without surveys is what? I don’t know, a poorly managed one for starters. I’ve seen other surveys sites never run out of surveys to take. If you are looking for a 100% legit way to make money, by owning your own online business. It provides the best training online along with the most helpful and friendly community online, with all the support to get you building your online business. I recommend you read my #1 Recommended Program and sign up to get started today. If you have any questions or comments please leave them below. I would love the opportunity to answer them. Thanks. ‹ What’s The Be The Boss Network?